Episode 20 is here! A huge shout out to everyone that's downloaded the podcast so far. Keep enjoying and sharing the show! Today's episode we get outside of the Gemini IV capsule and do our jazz hands with Captain Kirk. Surveyor 1 landed on the moon on this day in 1966 and the Shuttle Discovery launched to dock with Mir for the last time on this day in 1998. Download and share the podcast! I appreciate it! Episode 18: The Dream is Alive oh and Khan!!! Get ready for a jam-packed pop culture episode today. The Dream is Alive with Walter Cronkite, and we go at warp speed through the Wrath of Khan and The Search for Spock. Also, not to be left out, you'll find out how much Picard's Ressikan flute sold for at auction. Don't miss this episode! The first successful flight with two monkeys happened on this day in 1959. Able and Miss Baker were special little creatures, especially Miss Baker. Download episode 14 to hear more about her! The last of three episodes covering President Kennedy and the early days of the space race. Also I've got a little bit about a SpaceX Falcon 9 landing that occured one year ago today. Tomorrow Able & Baker take a ride into space. The second part of three episodes covering President Kennedy's Urgent National Needs speech and the beginning of the Space Race. Today on The Space Shot, A New Hope, The Return of the Jedi, and John F. Kennedy's Urgent National Needs Speech. Today on The Space Shot: Commercial Space Firsts, Moonraker, and Apollo 10. We are departing from what I had intended to discuss with you today to touch on something else that I felt compelled to cover. Enjoy! 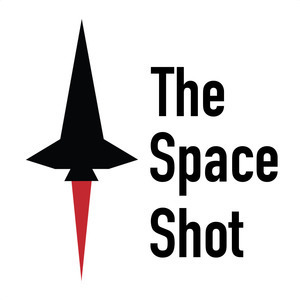 Apollo 10 in Lunar Orbit and SpaceX COTS 2+ on this episode of The Space Shot. It's the 37th anniversary of Star Wars: The Empire Strikes Back coming to theaters in the United States. There's also some coverage of private space industry firsts, since we are one month away from the anniversary of the first flight of SpaceShipOne. Pioneer missions helped scientists map out our solar system in the early years of space exploration. Now NASA scientists are working on more exotic mission proposals than plain old orbiters. We've entered the coast phase of Apollo 10, so it's time for some background on the Apollo 10 astronauts. In the second part of the episode, I talk about Venus and how the odds of a probe making it to Venus in the early years of spaceflight weren't exactly in your favor.